Stream anime episodes for free, you want to Watch Fairy Tail Episode 45 English Subbed online for free. 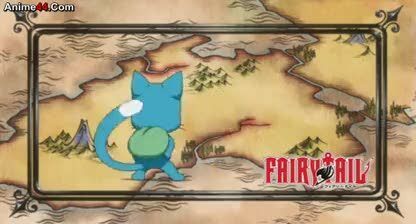 Episode guide Fairy Tail Episode 45 English Subbed Satan’s Descent Lucy and Loke defeat Bixlow while Cana and Juvia are forced to fight one another because of Fried’s runes. Juvia, wishing to be accepted by the guild, sacrifices herself by hitting a lightning lacrima in order to free Cana. As Cana retaliates, Elfman and Mirajane arrive, which results in Elfman fighting and losing to Fried. Frustrated with feelings of helplessness, Mirajane unleashes her power, Satan Soul Take Over, and defeats Fried.